Tanya Tucker will deliver a one night sultry performance at Andy Williams Moon River Theatre in Branson on September 16, 2017 at 8 pm. This live music show in Branson features the award-winning country music singer Tanya Tucker who will entertain audiences with the most popular music genres that you will ever experience. As one of the most popular recording artists, she will perform some of her popular songs including her first hit single Delta Dawn. When you visit Branson this fall, you can see the living music legend for a special one-night-only show. 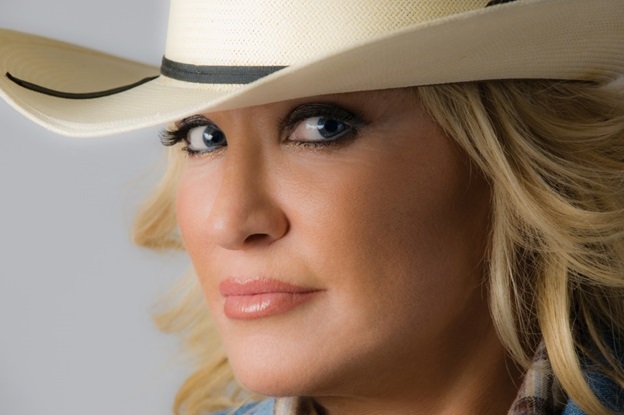 Tanya Tucker has impressed the world and became one of country music’s most popular and enduring icons after she made a hit song at the age of 13. Throughout her long music career, Tanya has entertained generations of fans with unprecedented strings of hit songs that include “What’s Your Mama’s Name,” “Lizzie and the Rainman,” “Here’s Some Love,” “Just Another Love,” “If it Doesn’t Come Easy,” “Walking Shoes,” “Down to My Last Teardrop,” “Soon,” “Hangin’ In,” and many other hits that topped the country music charts. Tanya’s albums have done on to become certified gold and platinum and some of her songs have made her one of the most successful country artists of all time. The list of accolades and awards of Tanya Tucker is as impressive as her music. She’s been recognized and awarded by some of the most prestigious organizations in country music such as CMT, ACMA, CMA, and more. The mature voice of Tanya Tucker can be both gentle and sultry with husky tone, reminiscent of Elvis Presley, and a custom-made for the catchy song that was a big pop hit the following year for Helen Reddy. The accolades and industry awards that have been awarded to Tanya Tucker include Top New Female Vocalist and Video of the Year for Two Sparrows in a Hurricane and from the Academy of Country Music. She was also awarded Female Vocalist of the Year and Album of the Year from the Country Music Association, Best Female Country Vocal Performance, and nine Grammy nominations. Tanya was also inducted into the Texas Country Music Hall of Fame. She was also included in CMT’s 40 Greatest Women of Country Music. The legendary status of Tanya Tucker is earned from forty-one Top Ten, thirty-three Top Five, and ten Number One singles, as well as twenty-three Top 40 albums. Many of her hits include Can I see You Tonight, Love Me Like You Used To, Here’s Some Love, and It’s a Cowboy Lovin’ Night, as well as her chart topping singles, Would You Lay With Me, San Antonio Stroll, and Strong Enough to Bend. Tanya’s talent doesn’t end with music. She was also into feature films where she starred in her own reality television show, and written her life story in the book Nickel Dreams: My Life. The one-night sultry performance of Tanya Tucker at Andy Williams Moon River Theatre is a fantastic live music show in Branson to watch on September 16, 2017.